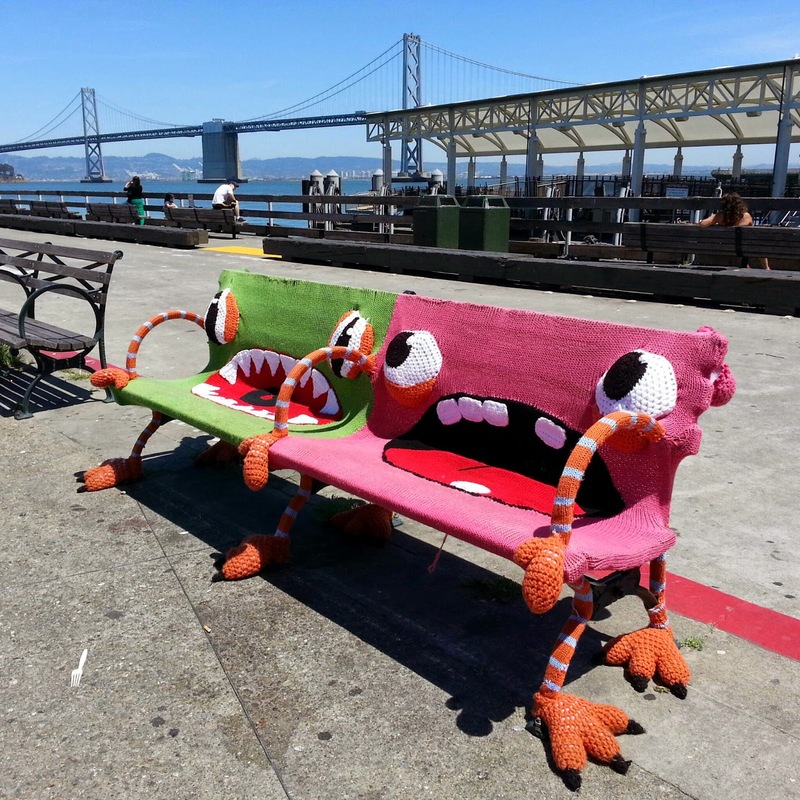 This is the coolest yarn bomb I've ever seen! The artist is from of San Mateo. i agree this is so cool. That's a whole lotta knittin'!